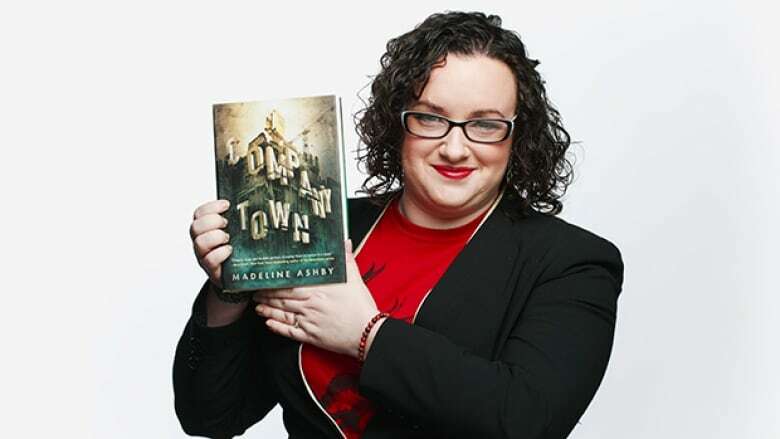 Madeline Ashby, whose novel Company Town was defended by Measha Brueggergosman on Canada Reads 2016, talks about things she wishes she knew going into the competition. Madeline Ashby's novel Company Town was one of five books in the running for Canada Reads 2017. It was defended by opera singer Measha Brueggergosman, who took the sci-fi novel all the way to the final two — where it eventually lost to Humble The Poet's defence of Fifteen Dogs by André Alexis. CBC Books asked Ashby to share what it was like having a novel on Canada Reads. The 2018 debates, hosted by Ali Hassan, take place March 26-29, 2018. In 2017, my novel Company Town was longlisted, and then shortlisted, for Canada Reads. To say the book's appearance on the shortlist was a surprise is something of an understatement. Company Town is a science fiction novel and genre fiction has traditionally been looked down upon by the CanLit crowd. Nebula nominee and songwriter Kari Maaren even wrote a song about it. But what I didn't know about the Canada Reads process was how much it would teach me about Canada, about genre, and about myself. I'm a permanent resident of Canada, but Canada Reads was the first time I felt like Canada, my chosen country, might actually choose me. I spoke with readers in Calgary, in Newfoundland, in Toronto, and with radio producers all over. The one thing readers could agree on was that they wanted to read, hear and talk more about Canada's future. Presented with one scenario, they wanted to envision and implement more. "No one ever writes about our future," one reader in Glovertown, N.L., told me. "Everyone writes about our past." Everywhere I went, I met book club members — who are the true CanLit crowd, the people who keep our lights on — who said they hadn't read a science fiction book before. Or they had, until they started "growing up" or until they realized "girls don't read those." But the Canada Reads experience had re-ignited their love for the genre. "Come back," I said. "Come back. We need you." When debate week arrived, I had what I later learned was pneumonia. My voice was gone when I entered a cab to teach in the foresight studio at OCADU. Suddenly, I heard my voice on CBC Radio. "That's me," I squeaked to my driver. "Uh huh," he said. The week was a flurry of coughing, working, and checking my phone. At the time, I was teaching a combined three courses at OCADU and Ryerson University. I had maxed out my swap days with my fellow instructors, in part to travel and promote the book. I had to show up for work, which meant that I couldn't watch the debates live. Daily, my phone would blow up with messages like "OMG" or "!!!" I wasn't sure if that was bad or good. I wouldn't find out until class was over or until I received a flurry of texts from my fiery advocate, Measha Brueggergosman. On the final day of the competition, when it was just my book against André Alexis's Fifteen Dogs, I met with him in the lobby at CBC. We each held the handle of a rolling carry-on bag, because the winner would fly to Ottawa to do a special episode of q. "I hope it's you who's flying to Ottawa," he told me. Later, after my book lost, he asked me what the process had given me, professionally. Was the book selling? Yes. Had it generated media interest? Yes. Was I going to take care of myself now that this was over, and get some sleep? No. I then traveled to Dubai, Amsterdam and London, all for work. In that moment, my genre didn't matter. My status as a Canadian didn't matter. We were just two writers talking shop. And that's what I wished I had known: that ultimately, this process is about your work, the work you have done and the work you will do.